Maitha is a very active, passionate and qualified tour guide. She is committed to handing down the UAE's legacy, history and traditions to younger generations. 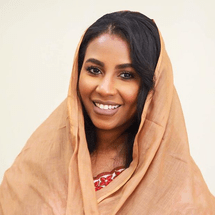 Maitha graduated from Zayed University with a Bachelor's Degree in Humanities and Social Sciences, with a specialization in International Affairs. Her number one goal is to make Abu Dhabi the favorite destination for all our visitors.